A note template by definition may refer to a documentation of different ideas, and information on different topics usually prepared to aid a person’s memory. It may also refer to a document typically containing a short and informal message sent to another person. In this article, we will be talking about the latter. A thank-you note is a note in which people send to express gratitude to the recipient. For example, a thank-you note addressed to a customer contains a message expressing a service provider’s thanks. Here, we will focus on wedding thank-you notes, and a few tips to those who want to write one. 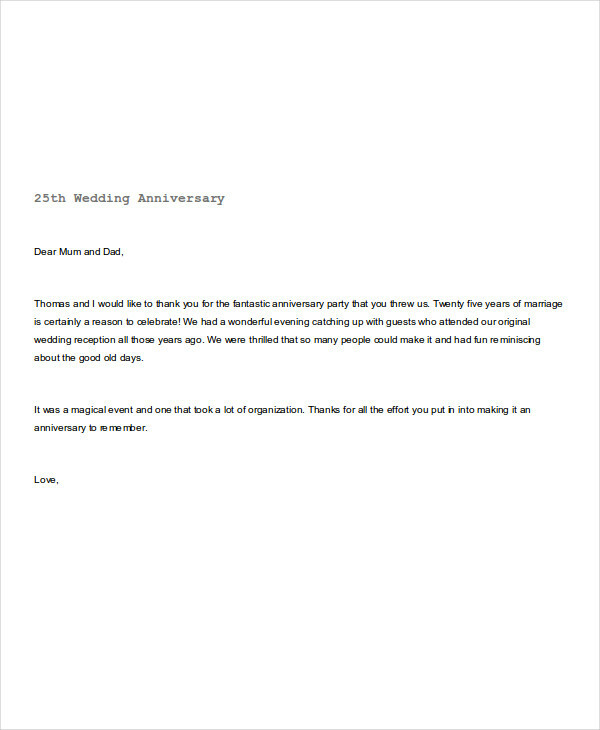 What Is a Wedding Thank-You Note? 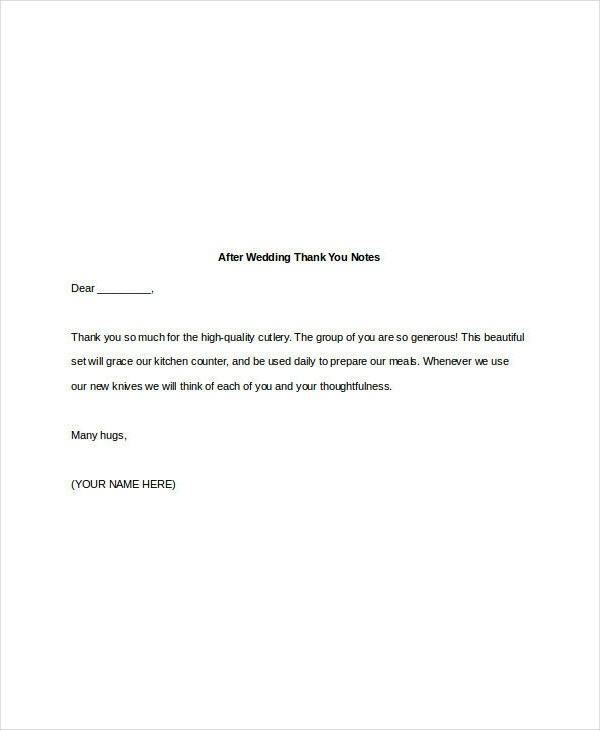 A wedding thank-you note is basically a thank-you note which is usually sent by the bride and groom to a particular recipient. Wedding thank-you notes primarily express the bride and groom’s appreciation to the recipient’s wedding gift, usually mentioning how they plan on using it. 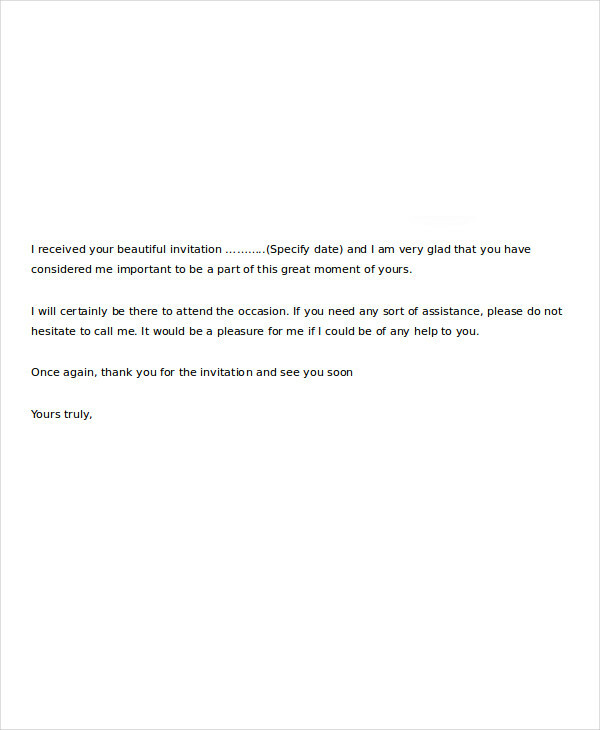 At times, a wedding thank-you note may be sent by a third party, containing his/her gratitude for the wedding invitation he/she has received from the bride and groom. 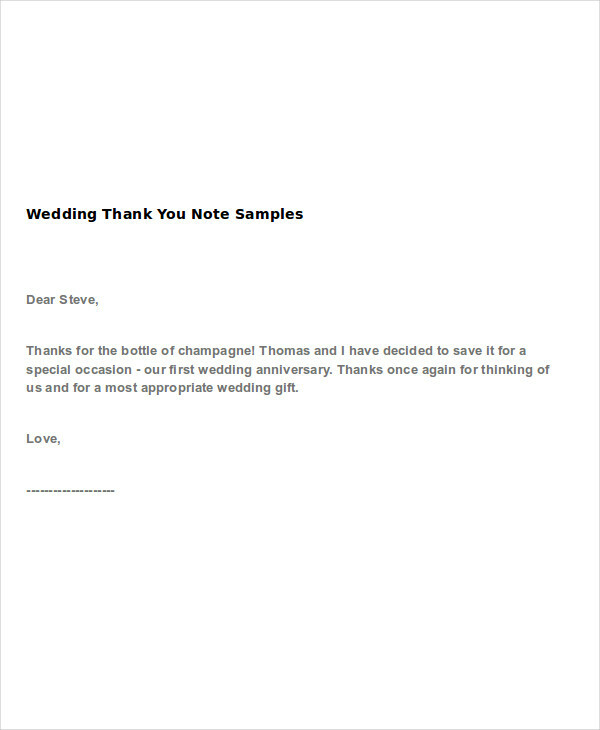 A wedding thank you-note is not a requirement, and not everyone who sent you a gift expects to receive one. But it is considered to be a common response you send upon receiving a gift, and of course, a way of showing how much you appreciate the person’s generous gesture. By sending a thank-you note, the person will feel glad to be a part of the most special day of your life, and that his/her gift was fully appreciated. A thank you wedding plan does not have to be too long: you just have to express your thanks, and a little information on how you plan on using the gift. Many people dread writing a wedding thank-you note because it consumes a lot of time and resources, and it’s hard to find the right words to say. So I’ll be sharing a few guidelines to make the task easier and of course, more enjoyable. Make a list of people to thank (including the gifts they gave). This might be a bit intimidating, since you’ll probably have a really long list. Still, this will help you make sure that you’ve sent notes to everyone, without skipping a person or two. You can make the list as early as preparing your wedding invitations, or refer to your guest list. Choose some stationery or cards to write on. Of course, you are allowed to personalize your notes (which is better, by the way). You can print your blank note, or write it manually (many people prefer to write manually). Choose the appropriate words. Make sure you express your appreciation clearly. Still, do not overthink. Write in a casual or friendly way, like you’re talking to them in person. Share the responsibility. Writing many thank you notes in pdf can be tiring. So the bride and groom need to help each other in doing the task. For better or for worse, remember? How to Write a Thank-You Note after a Letter of Rejection?